National Foam manufactures Single and Double Hose Reel Units which can be trailer and skid mounted. They are capable of storing, deploying and retrieving lay-flat hose in an efficient, safe and controlled manner. 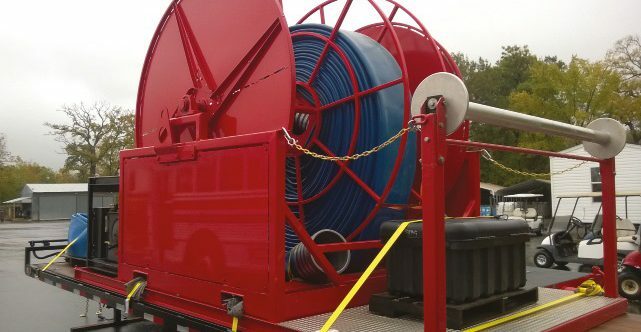 The hose reel units consist of (1 or 2) hose reel(s) mounted on a common supporting skid or mobile trailer arrangement. The reels contain a hydraulic motor, powered by a single diesel driven hydraulic pump. A tethered control box (for remote operations) and local control panel are provided.